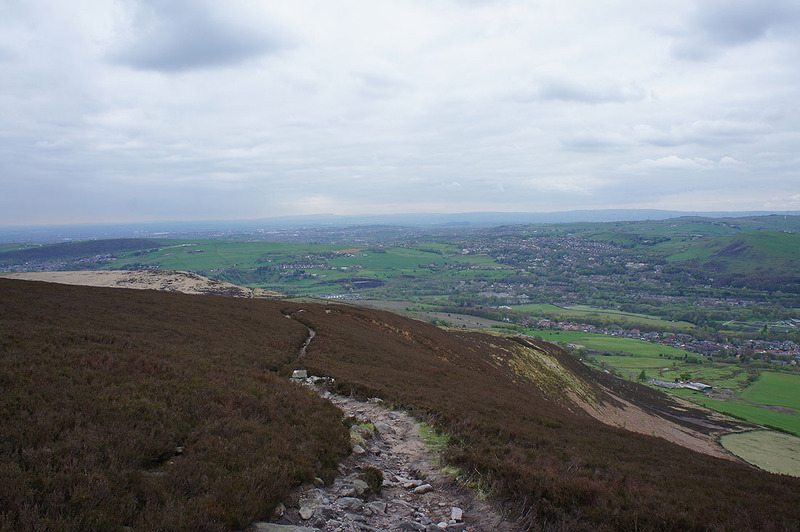 I've decided to take today off work to make it a four day weekend like the Easter break of a couple of weeks ago. 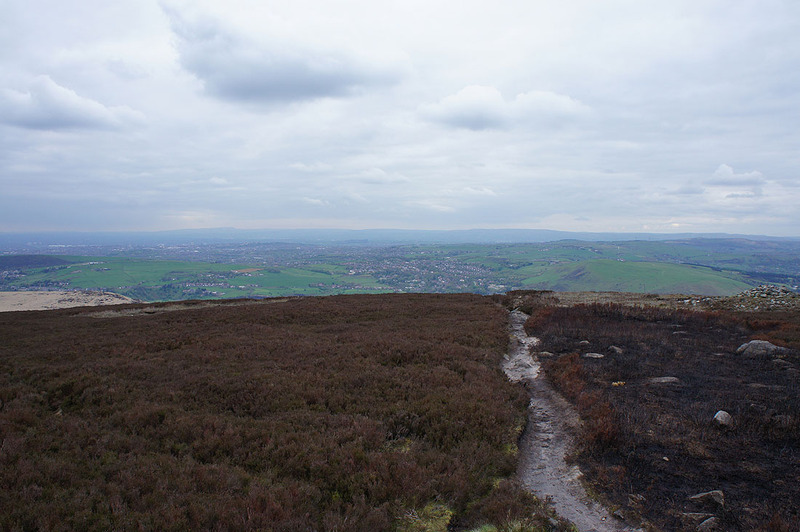 It did me a power of good, hopefully another one will do the same. 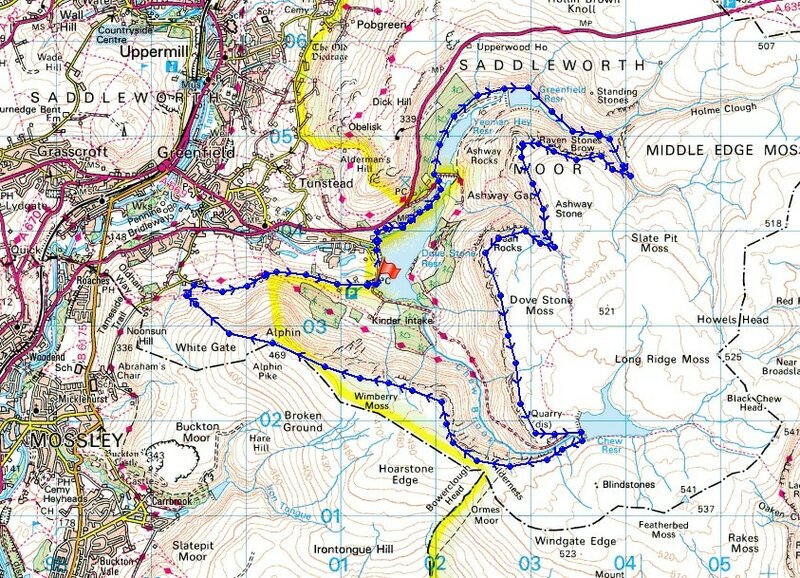 With some reasonable weather forecast I'm going to get out on a few of the days and stay relatively local to avoid the bank holiday crowds. 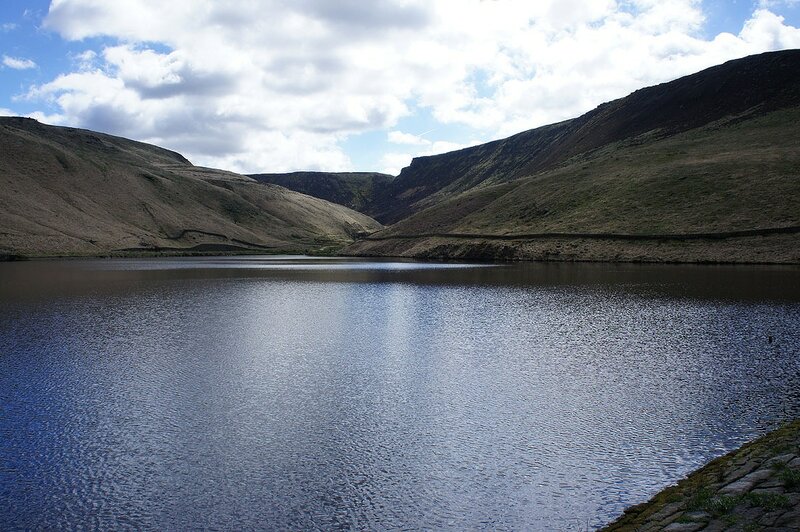 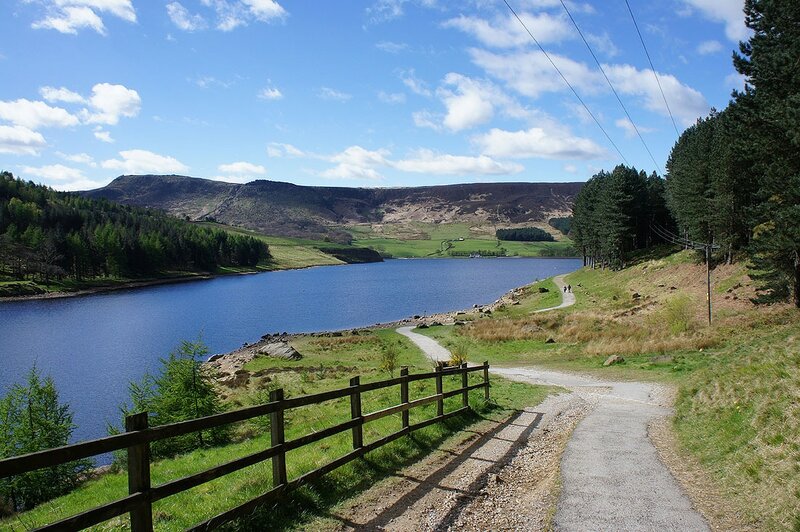 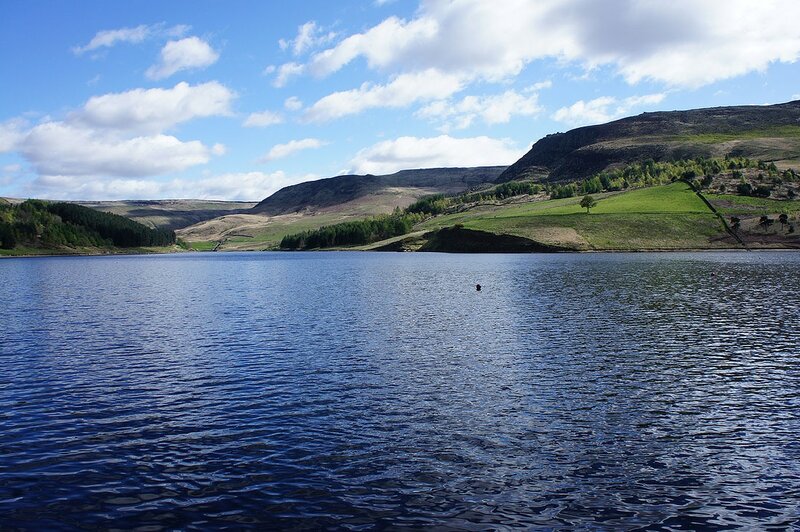 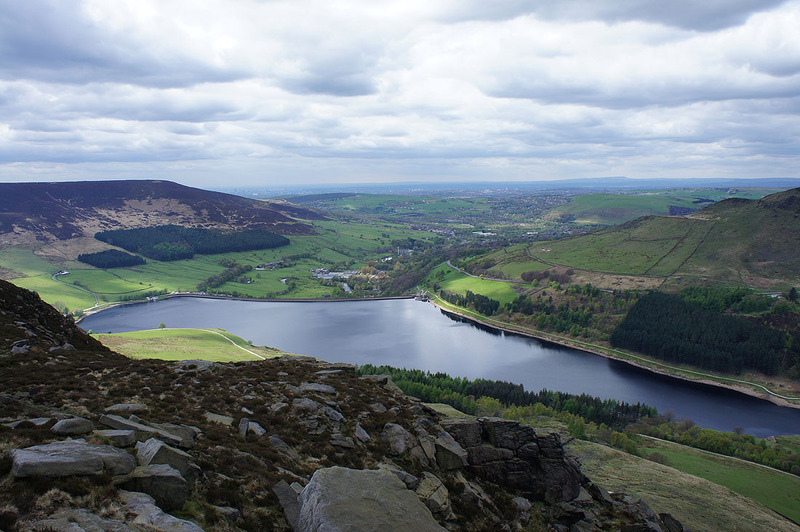 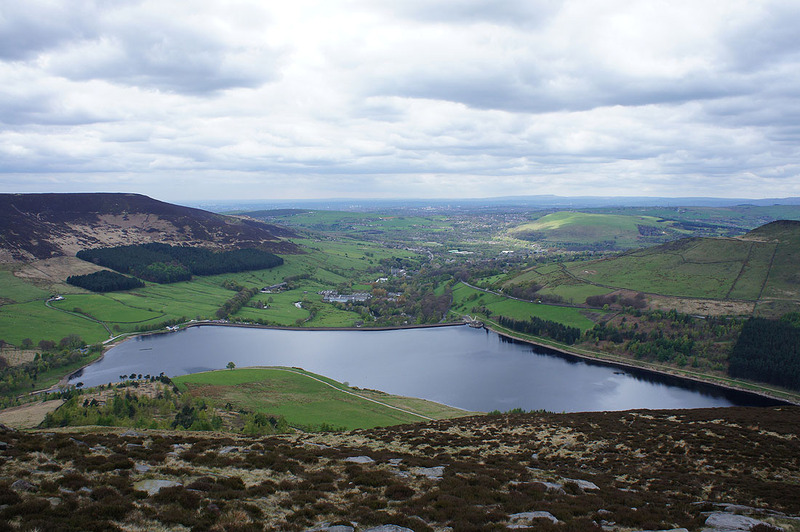 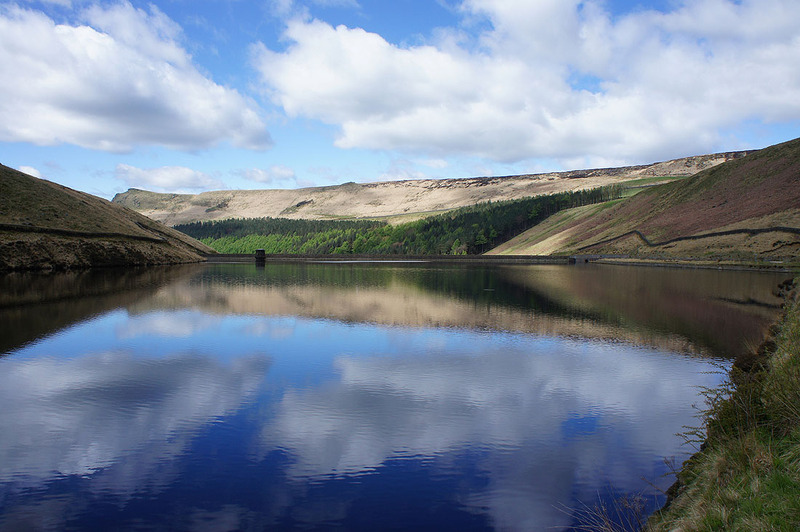 Today is a work day though, so I didn't have any qualms about heading to Dove Stone Reservoir in Saddleworth, which is a popular place. 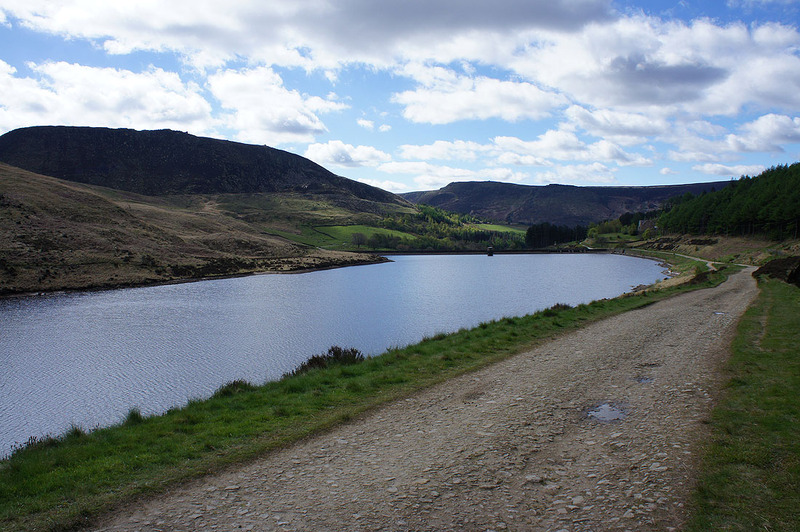 So it was pretty quiet when I arrived at 1000 to do a round of the edges that rise above the reservoir, one of my favourite walks in the Peak District. 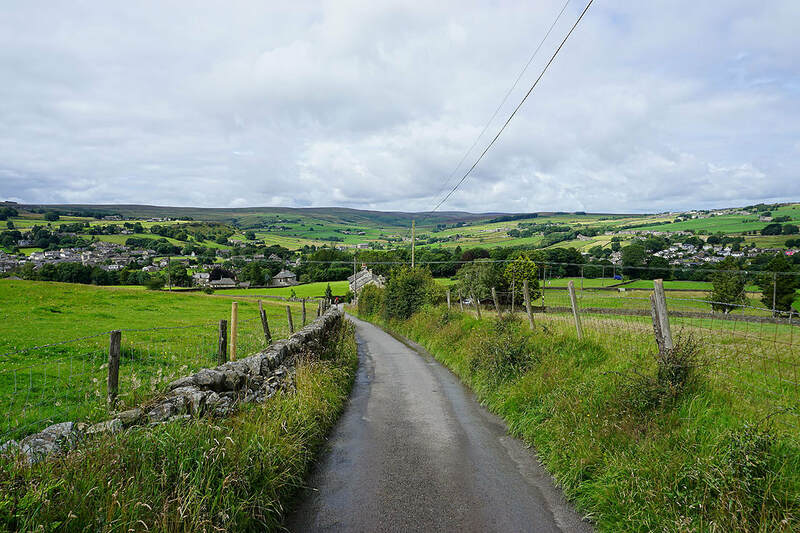 There was a lot of sunshine around when I set off but it was one of those days where the cloud gradually built up so that by the middle of the afternoon it was quite grey and overcast. 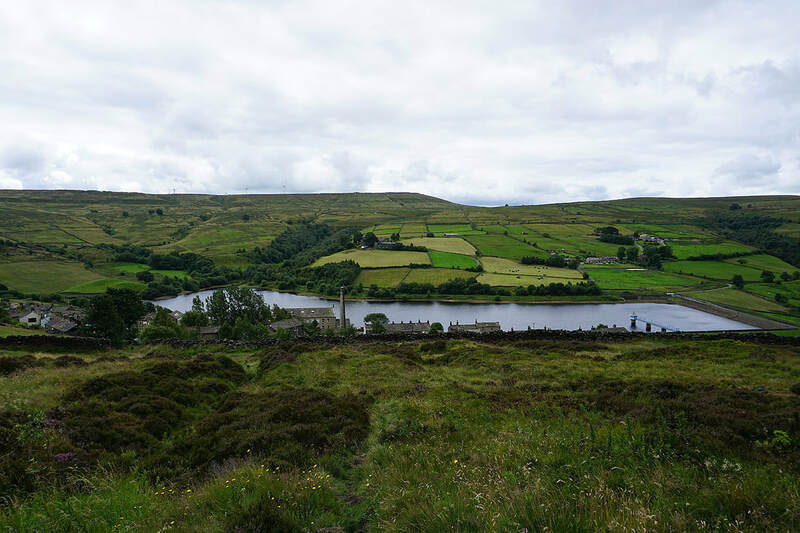 From the car park at Dove Stone Reservoir I set off by walking along the dam of Dove Stone Reservoir, then along the track by its northern shore to Yeoman Hey Reservoir, up to Greenfield Reservoir and then up the path by Greenfield Brook. 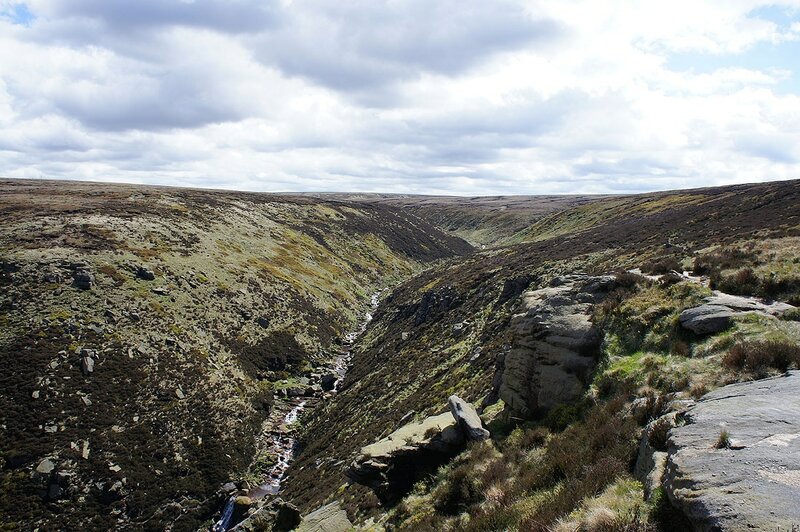 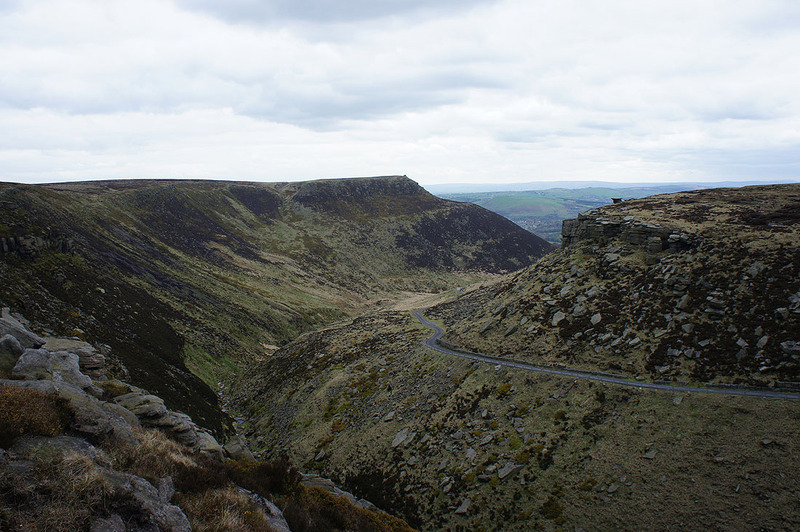 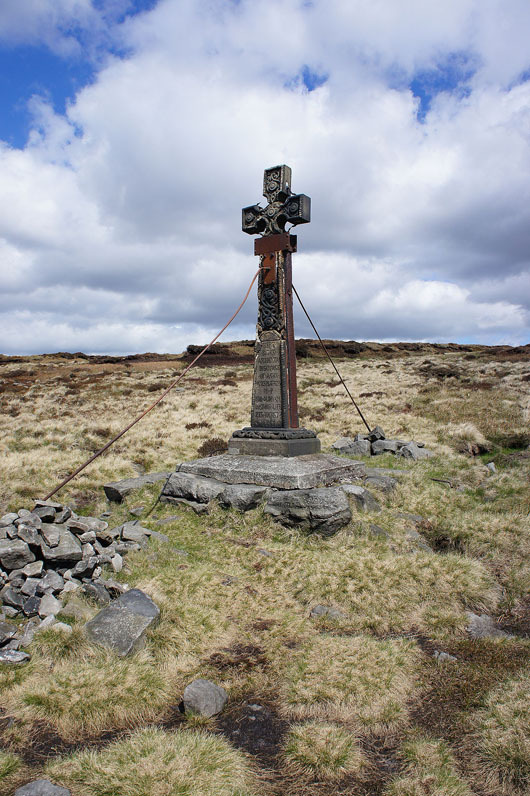 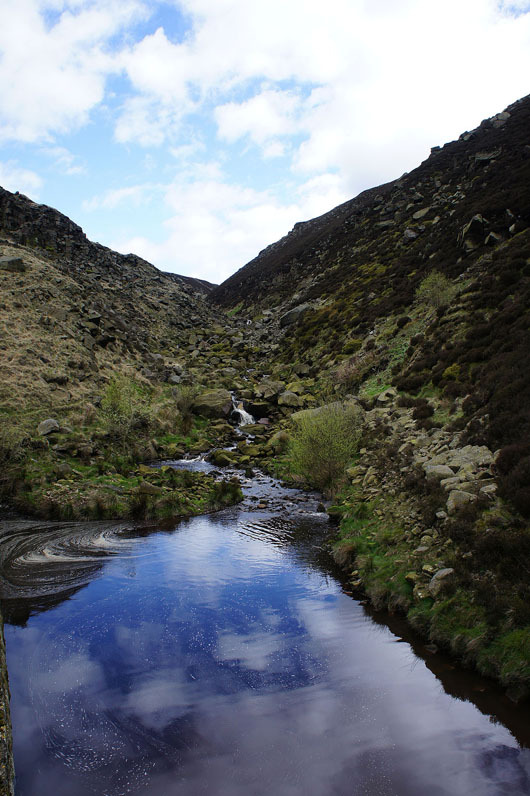 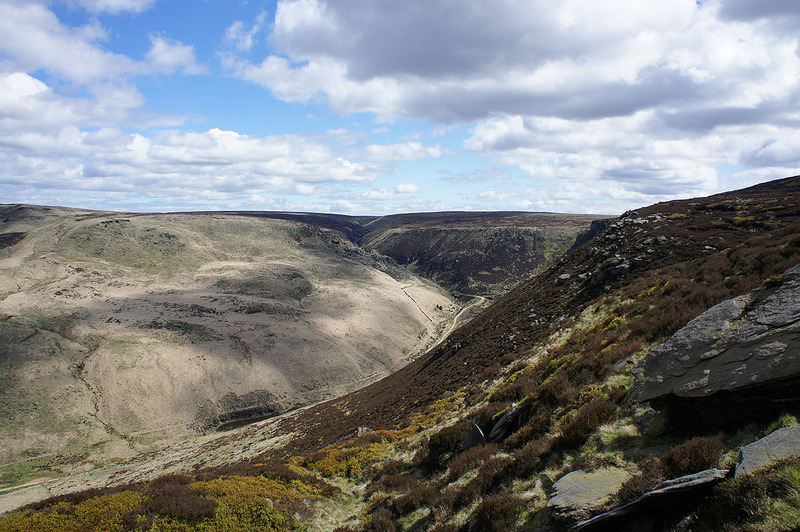 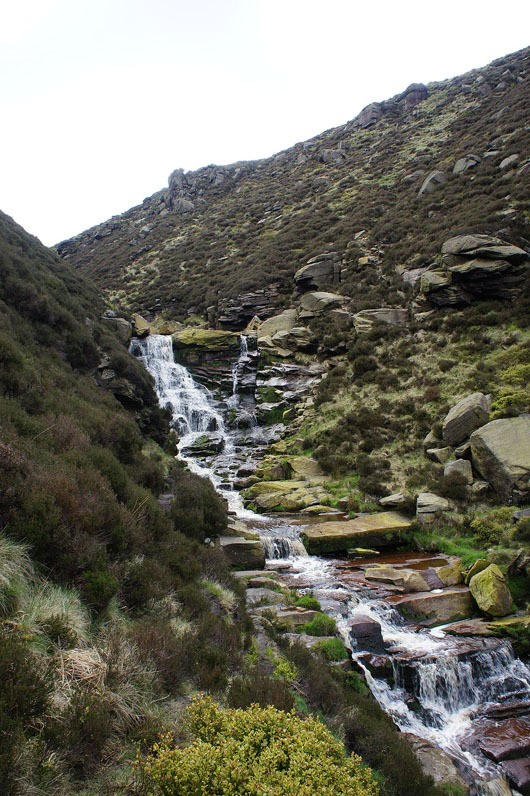 A thin path then climbs up Birchen Clough past the cascades before crossing the brook and heading to the top of Raven Stones Brow. 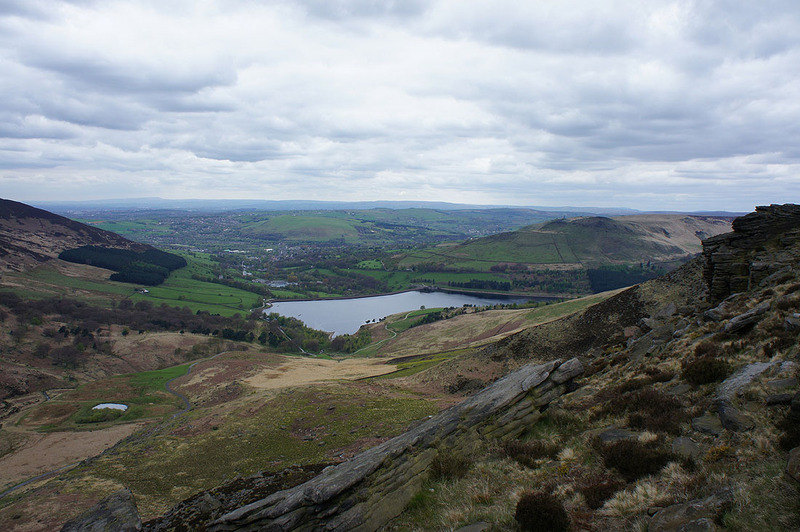 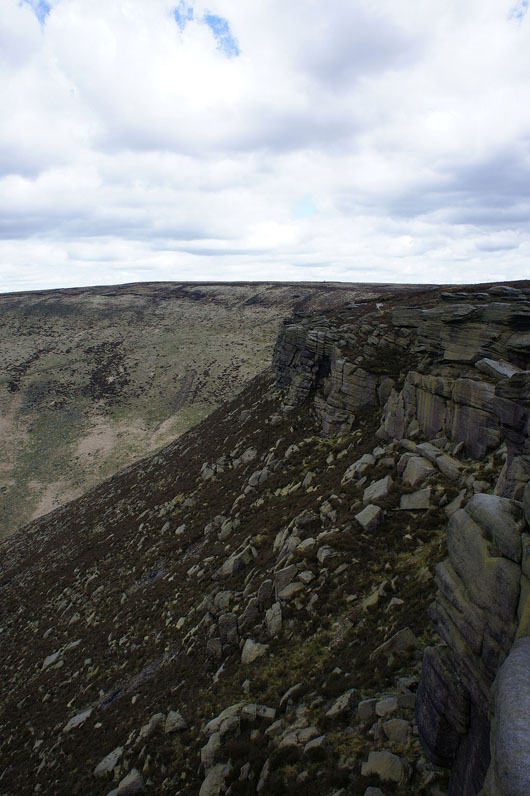 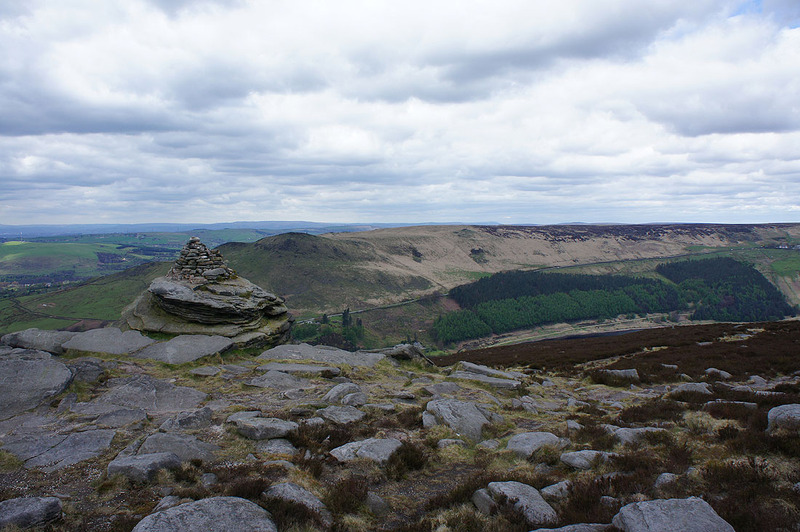 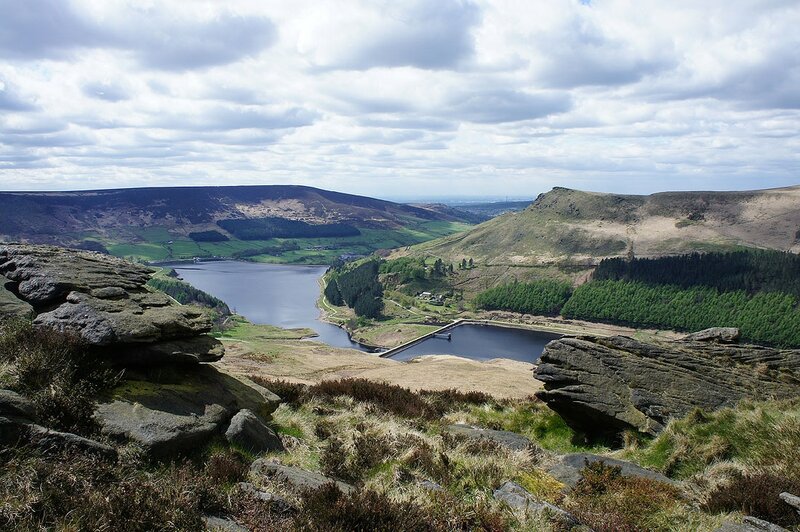 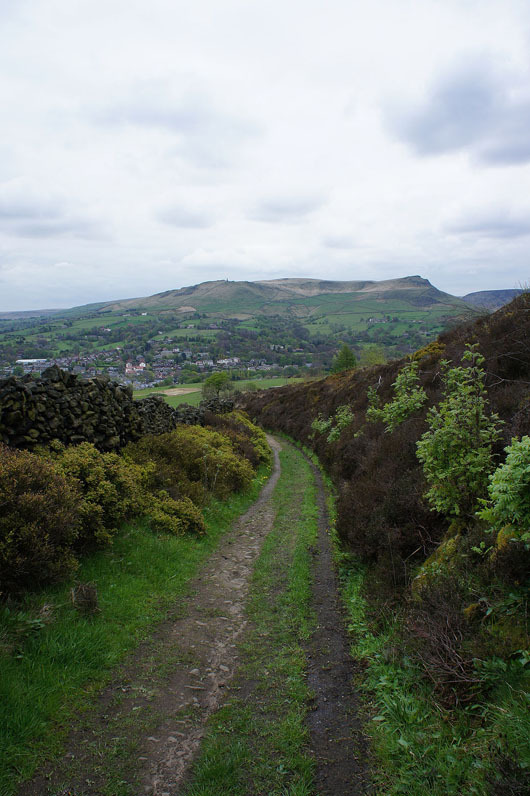 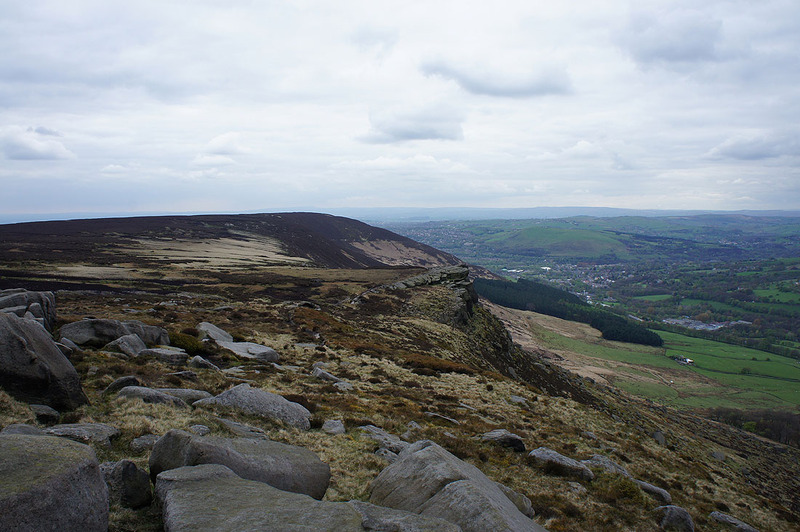 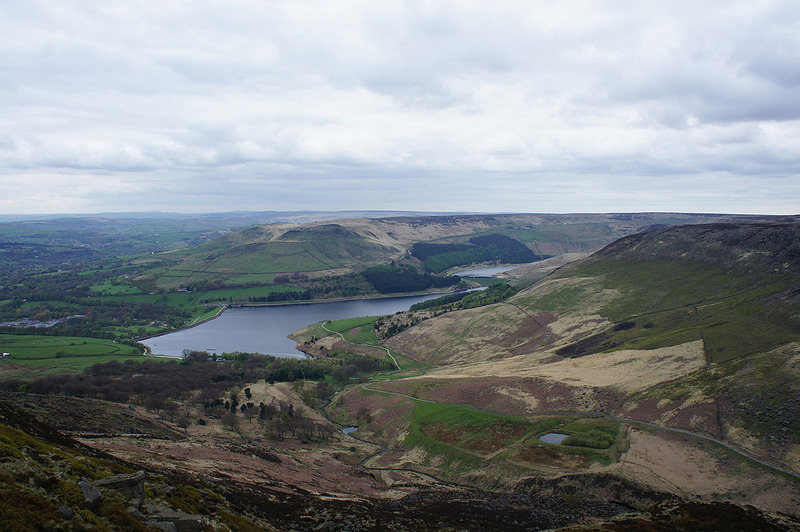 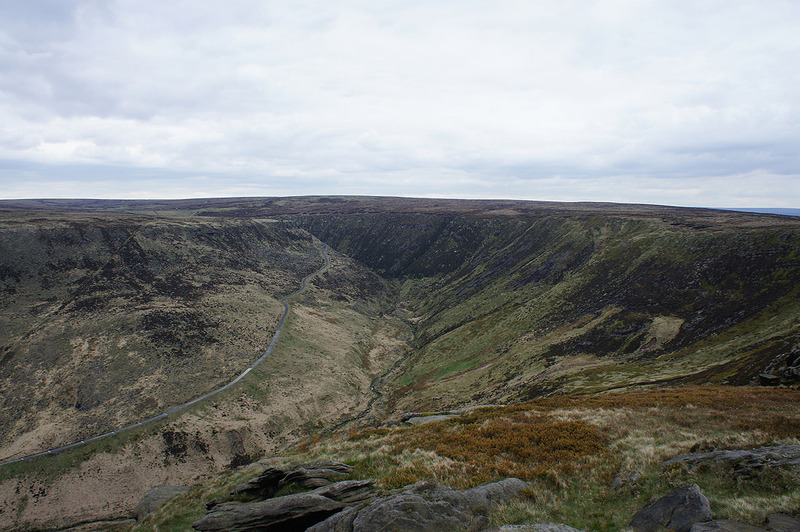 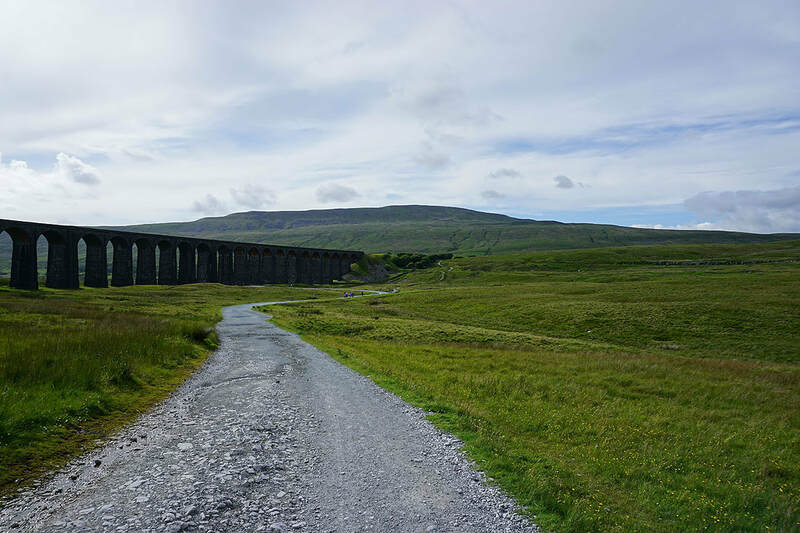 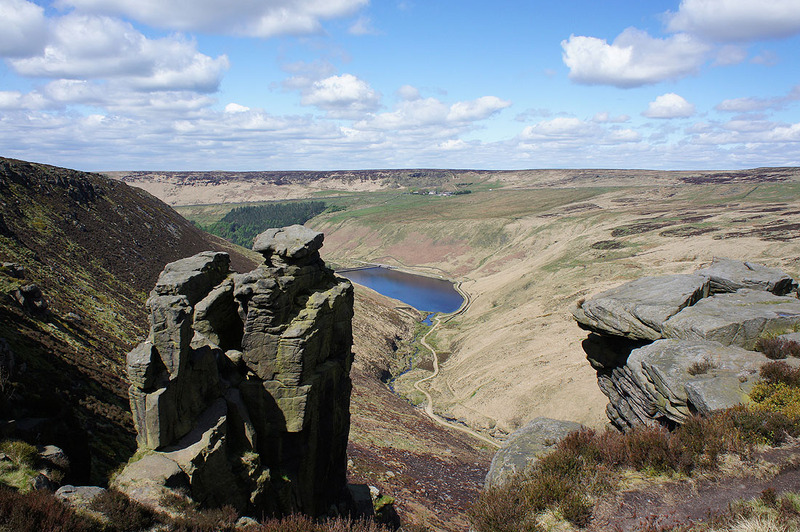 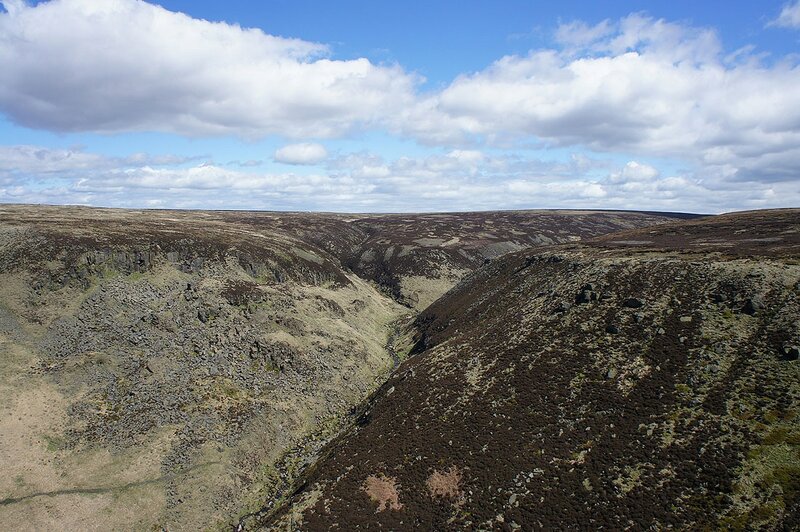 This is where the edge walk begins; past Raven Stones to Ashway Rocks, across Ashway Clough to Dean Rocks and then from the Fox Stone over Dish Stone Brow to Chew Reservoir. 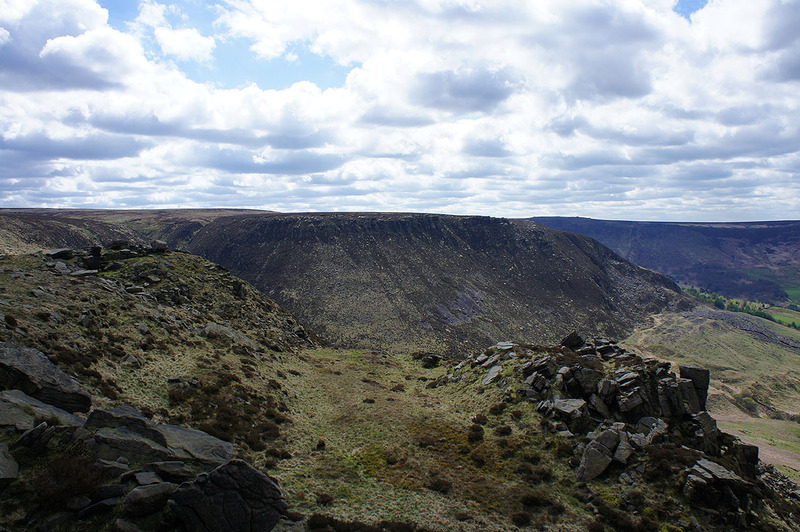 A path above Chew Brook then heads for the top of Stable Stones Brow and continues to the end of the ridge on Alphin Pike. 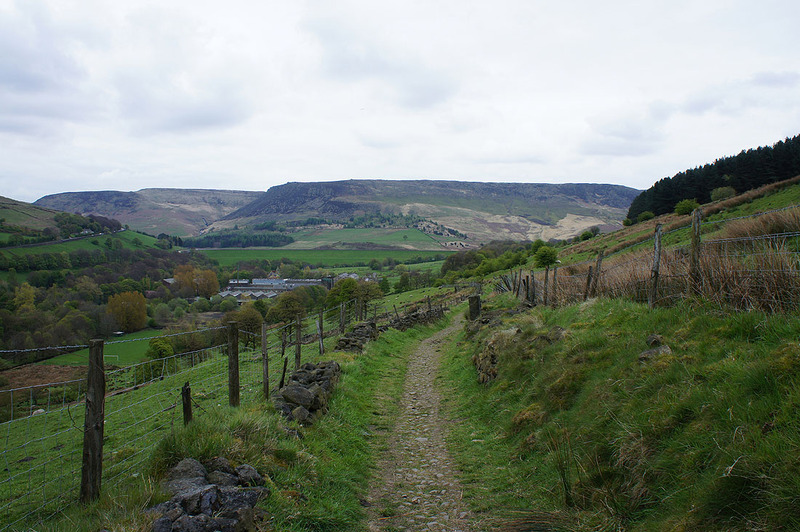 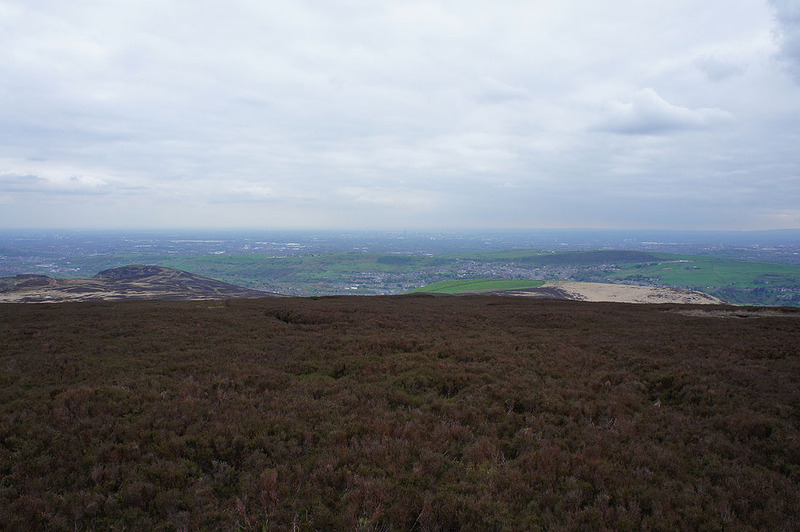 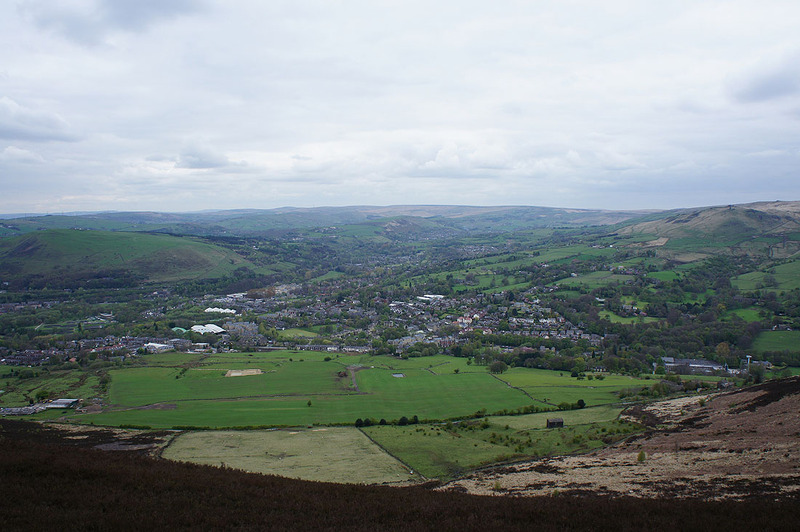 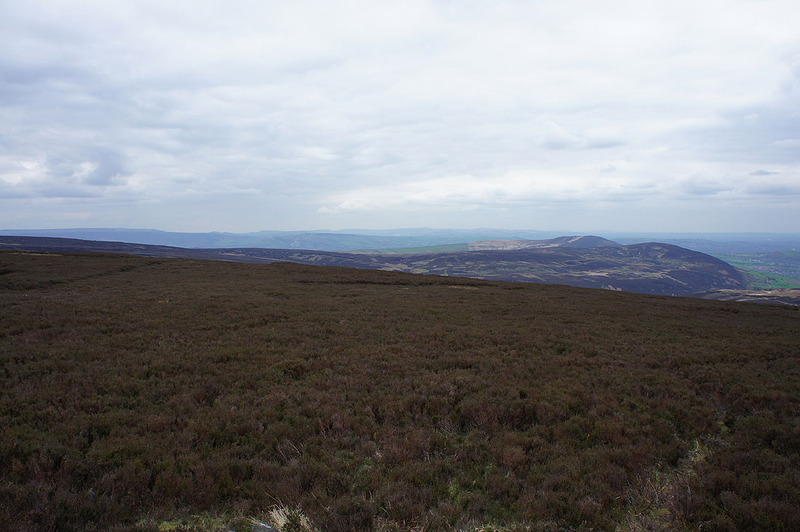 I then followed the path above Alphin Brow down to the edge of access land. 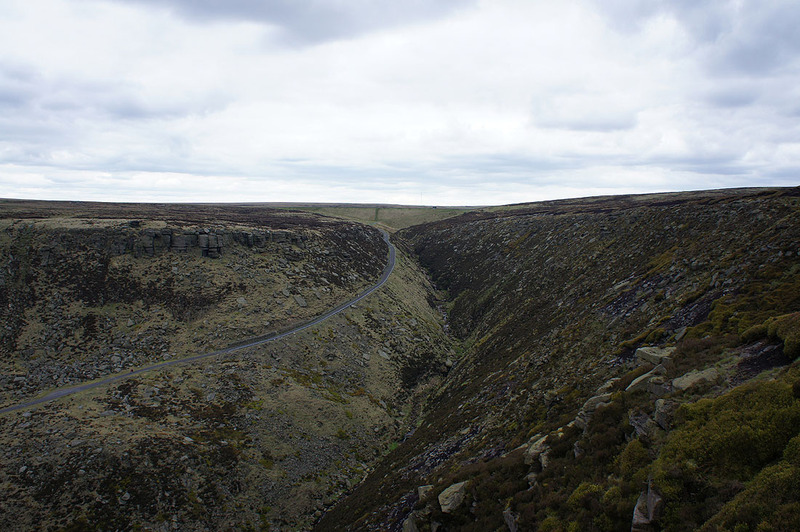 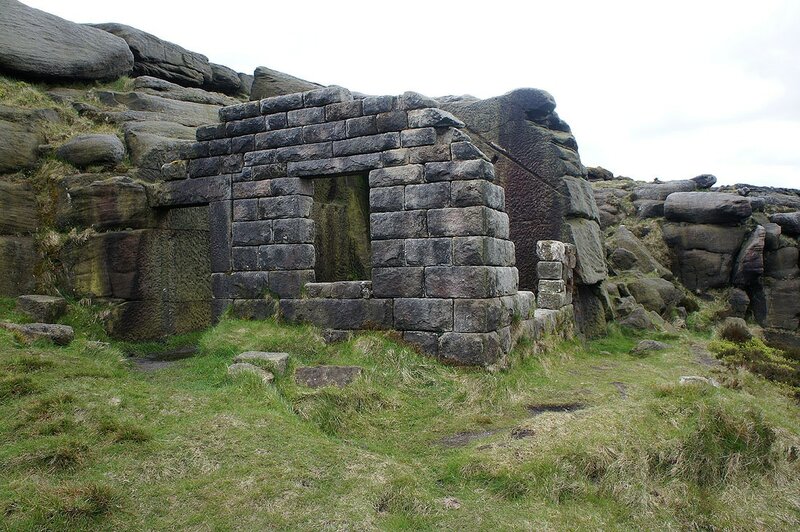 The track of Bradbury Lane brought me back to the car park at Dove Stone. 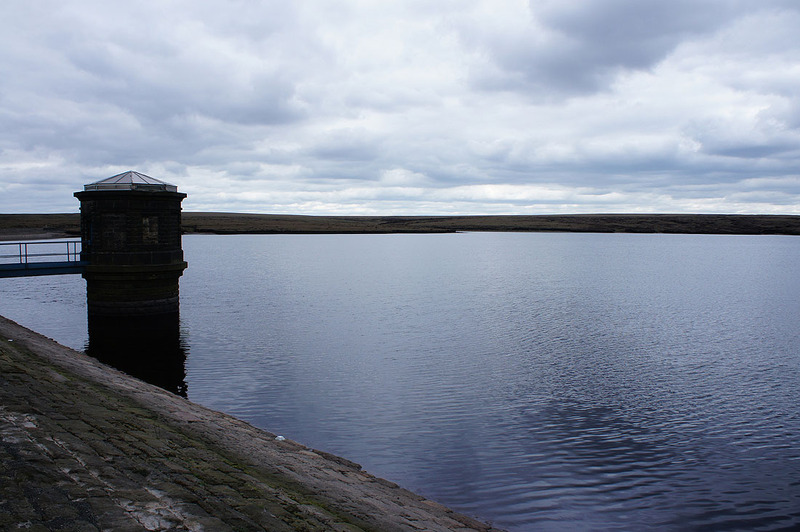 By a gloomy Chew Reservoir. 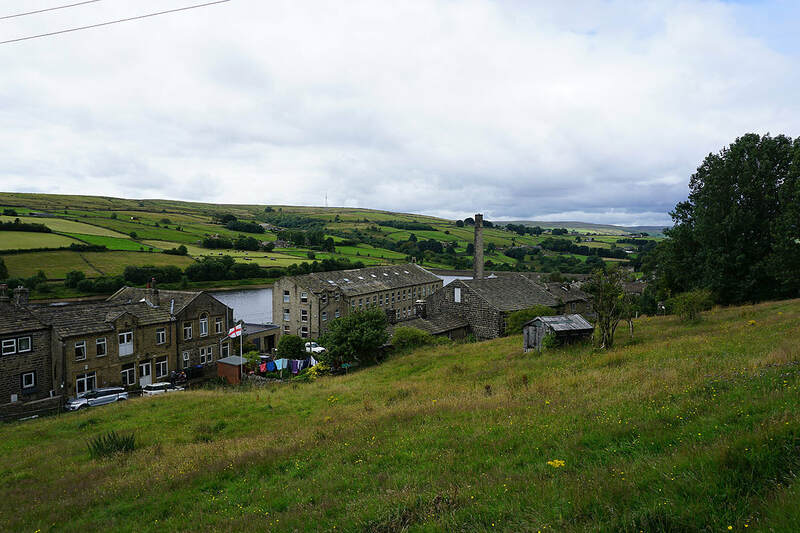 Unfortunately the sunshine has gone and it's become quite grey and overcast.